SINGAPORE - Twenty-two unregistered food handlers were arrested at the Geylang Serai Bazaar on Tuesday (May 30) in a joint operation by the Ministry of Manpower, National Environment Agency and Singapore Police Force. A spokesman for MOM told The Straits Times on Monday that it had conducted a joint operation with the National Environment Agency and the Singapore Police Force at the bazaar. "During the inspection, we found 22 unregistered food handlers who were also working illegally. They were arrested and investigations are ongoing," said the spokesman. Pasir Ris-Punggol MP Zainal Sapari had earlier addressed the issue in response to photos circulating online and via WhatsApp showing men being arrested at a dendeng or meat jerky stall at the bazaar. Responding to a comment thread on public Facebook group Halal Cafe & Restaurants in Singapore, where some netizens speculated the arrests were over halal food issues, Mr Sapari wrote: "It was a joint operation between NEA, police and MOM. During the inspection, they found unlicensed food handlers that were also working illegally which is an arrestable offence." The Straits Times understands that the men were arrested on Tuesday afternoon, at the stretch of the bazaar opposite Tristar Inn. From photos shared with ST, at least two men were shown being cuffed by plainclothes officers. 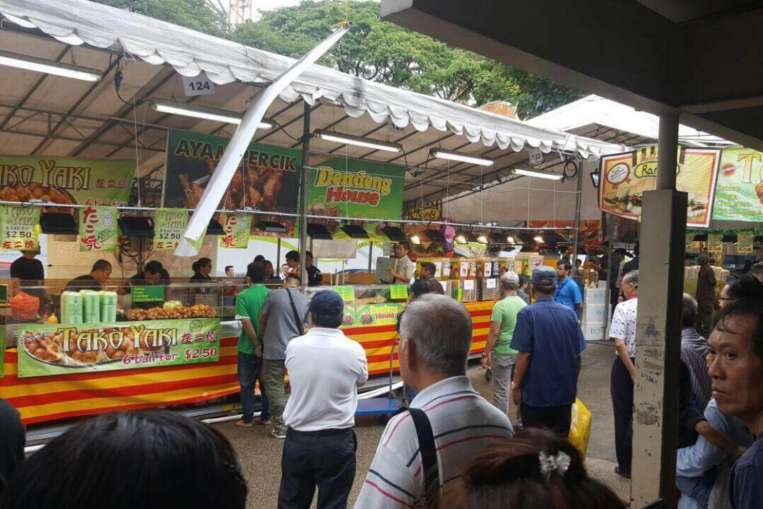 The Geylang Serai Bazaar, which features around 1,000 stalls, opened last Friday (May 26) and will run till June 24.